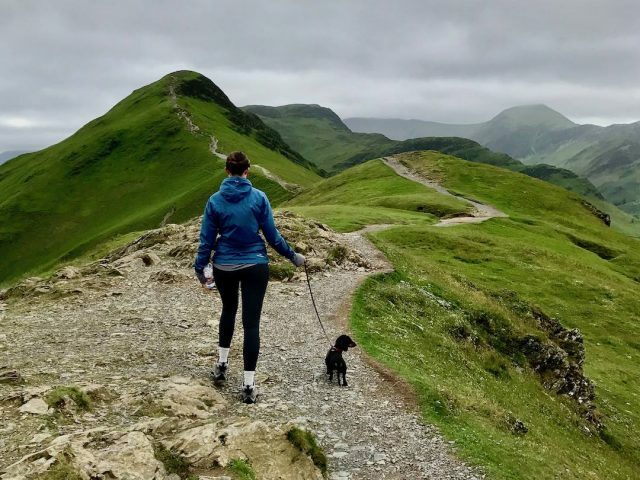 England is a wonderful country to holiday in with a dog, no matter if England is your home or whether you’re on a visit to the UK with your dog. 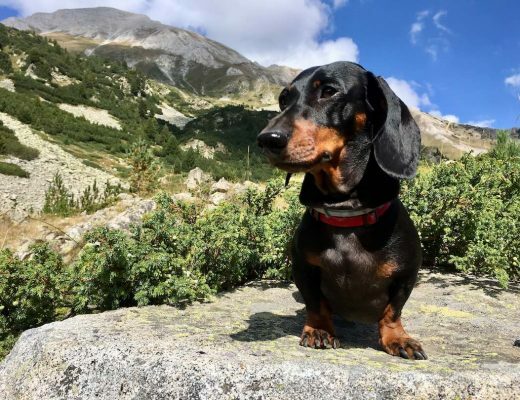 Whether you best prefer the countryside or want to visit the cities or instead explore the country’s history, there’s no shortage of dog-friendly things to do in England. 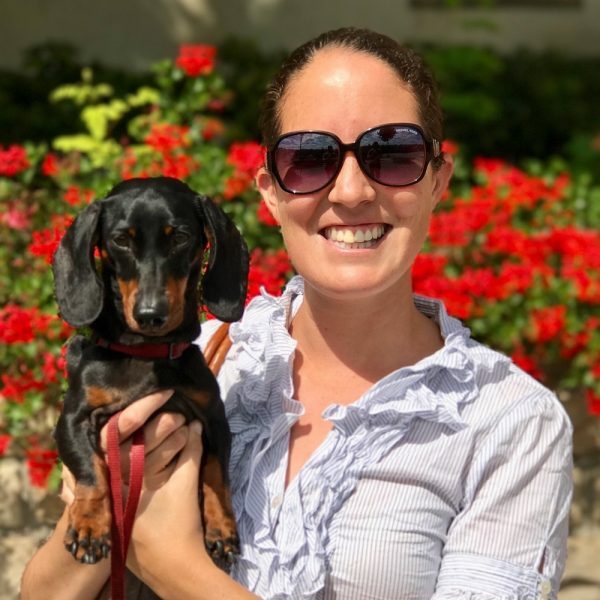 Take your pick from this list of ideas, and let me know what other dog-friendly attractions I should add! 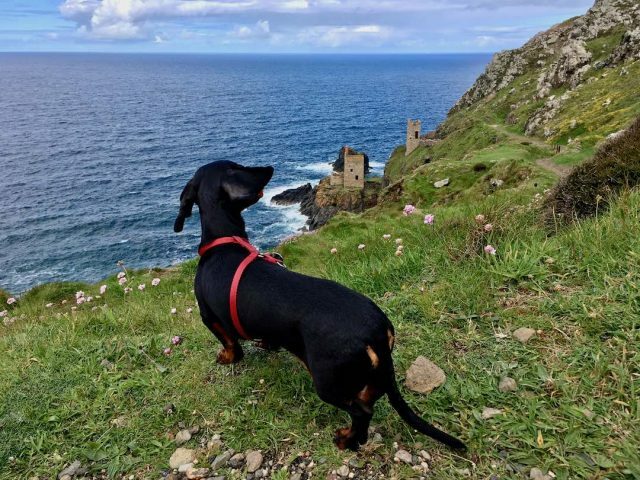 Also check out my recommendations for dog-friendly things to do in Wales and Scotland! Your dog might not be able to join you heading inside of many of London’s famous sights, from the Tower of London to its many free museums, but instead head for a walk along the banks of their Thames with your pup by your side. 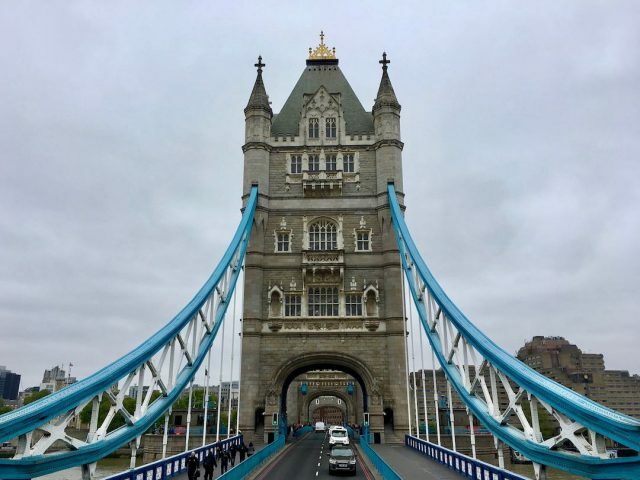 Start at the eye-catching Tower Bridge (perhaps also step inside, dogs are welcome! ), close to the battlements of the Tower of London. Then head along the south side of the river (perhaps detouring by Borough Market), on past the Globe Theatre and the Tate Modern. 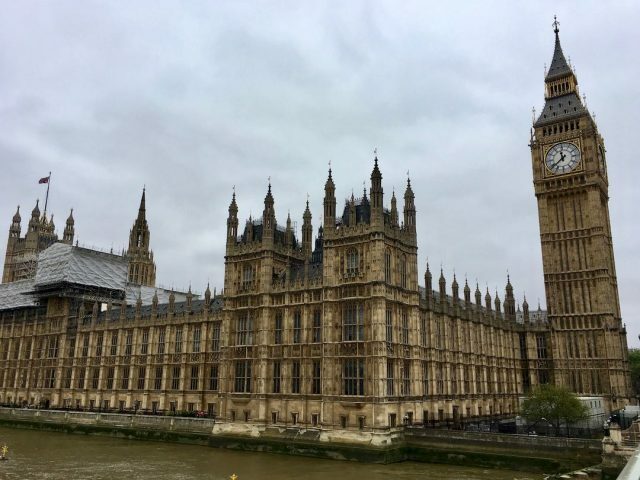 Just after the London Eye, cross Westminster Bridge to Westminster, home to the Houses of Parliament and the famous Abbey. Perhaps detour via 10 Downing Street, before walking with your dog through St James’s Park to wrap up your walk outside Buckingham Palace. 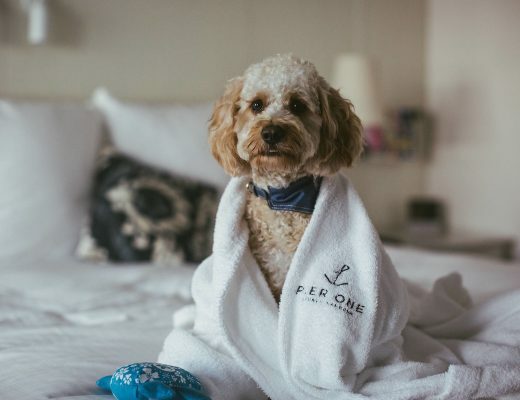 London is also home to a wide range of dog-friendly hotels, from luxury to budget. 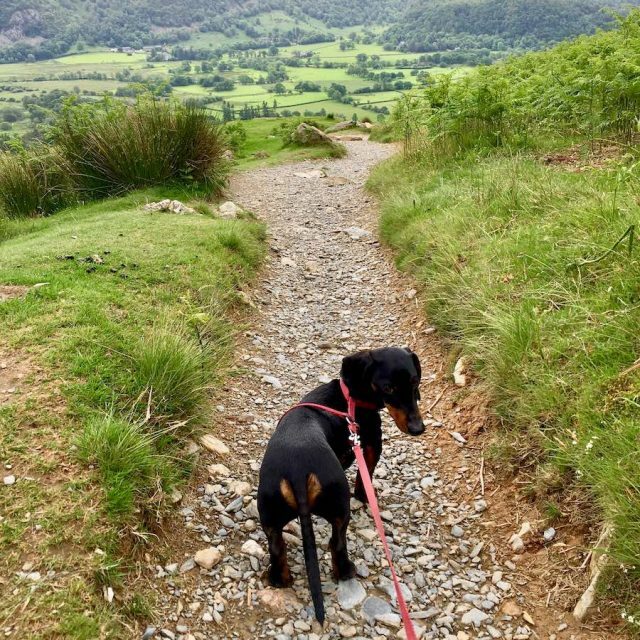 The Lake District in Northern England is one of the most dog-friendly areas in England. During my visit I spotted many dogs accompanying their visiting owners. And one of the highlights of any visit to the Lake District is heading out hiking. I recommend the hike up Catbells, near the Derwentwater. It’s not too long or difficult, but far from a stroll, a 3.5 mile loop hike (perhaps longer with a detour to the lake). It’s perfect for a morning or afternoon adventuring with your pup. 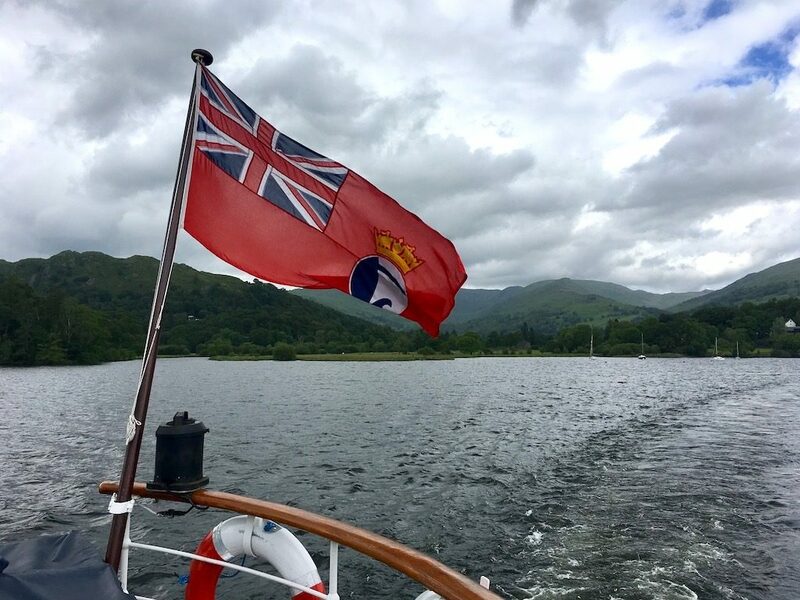 Given how dog-friendly the Lake District is, it’s no surprise that dogs are allowed on Windermere Lake Cruises. 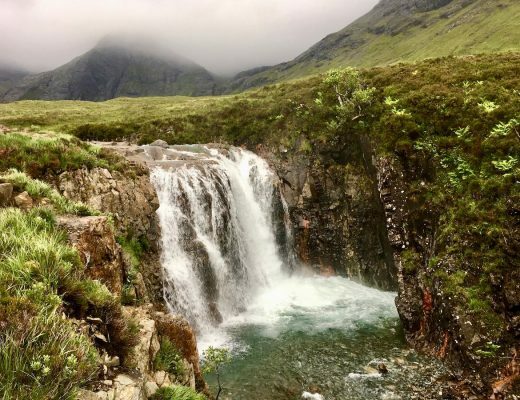 There’s a variety of cruise options on offer, from short return trips that start at 45 minutes, to open-ended passes (great for combining a cruise with a hike along the lake foreshore). 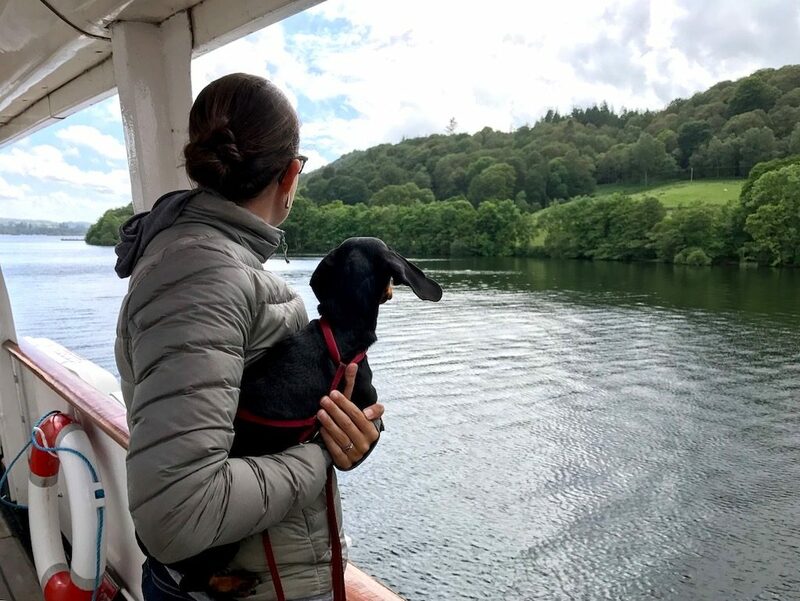 Naturally dogs are required to be on a leash and well-behaved on the boat, but there’s no restrictions against them even coming inside the cabin. Although unless the weather is bad the best spot is out on the deck with the wind in your hair, taking in the peaks around you. Now, the weather in England even during summer may not be the best beach weather. But your dog will love you regardless for taking them to a dog beach. 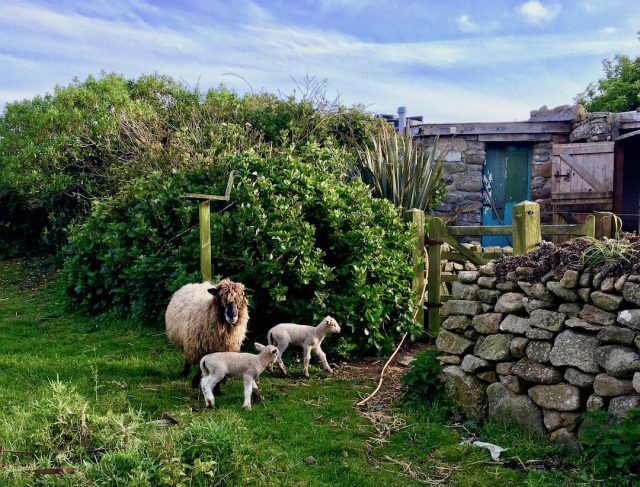 There’s many options scattered around England, with some of the most idyllic options in Cornwall and along the coast of Devon. Most other beaches also allow dogs on them outside of the summer months (May to September), just check the signage. For a comprehensive list of all dog-friendly beaches, head to The Beach Guide. 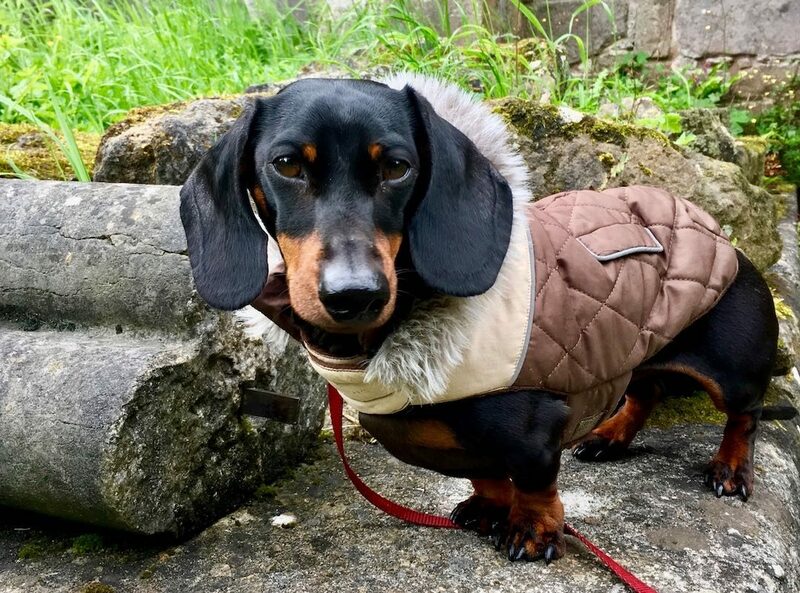 Make sure your dog stays under your control, even if they are off-leash, and always clean up after them, so that dogs continue to be welcomed. 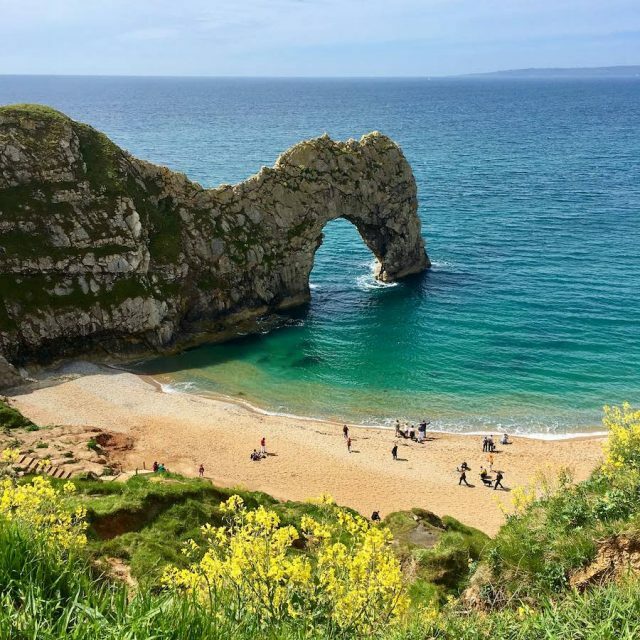 If you’re visiting the Dorset coastline, make sure you head to the Durdle Door. 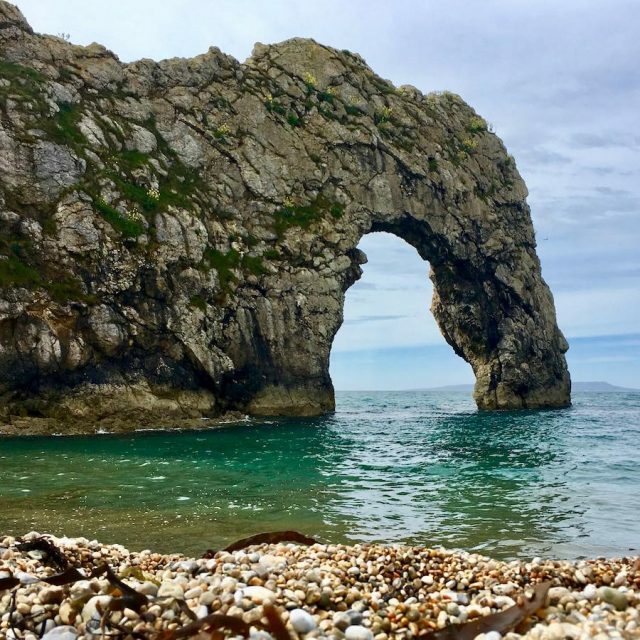 Not far from Weymouth, the “Door” is an impressive limestone archway that you may recognise from multiple films and music videos. 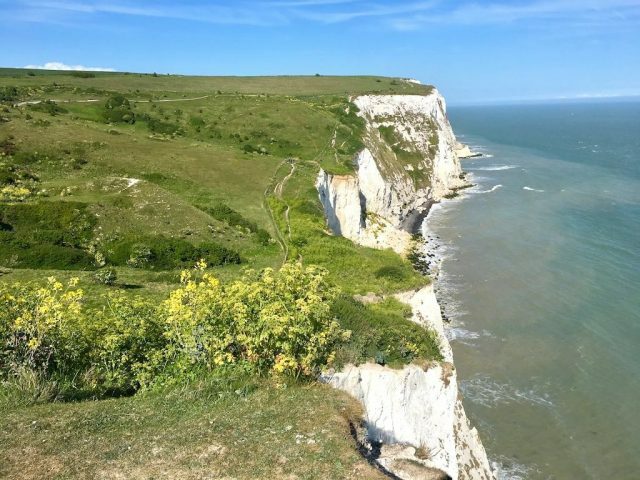 To access the Durdle Door, there is a car park on the cliff tops, next to the Durdle Door Holiday Park, with charges starting at £4 for 2 hours. It’s then a 5 minute walk down to the coast with the arch, or a further walk down onto the beaches on either side. It’s also possible to walk a little further from Lulworth Cove, another scenic spot. Dogs are allowed at the Durdle Door including onto the beaches, but make sure you keep your dog on a leash near the cliff edges. Another scenic stretch of English coastline are the famous White Cliffs of Dover. 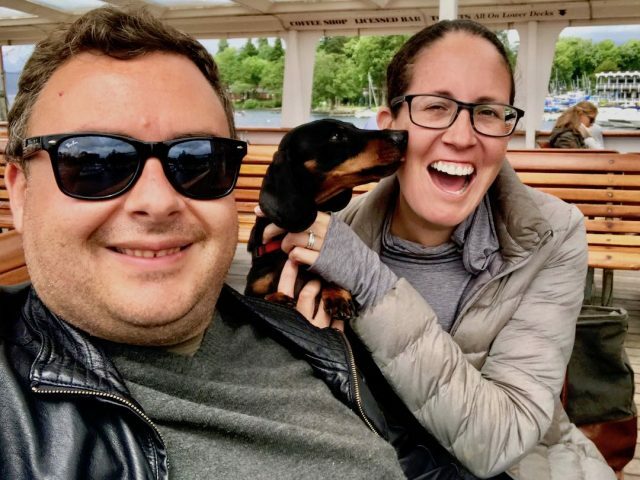 They’re a striking sight if you’re taking the ferry to or from Dover with your pup (but unfortunately only if you’re driving a car, foot passengers aren’t allowed to bring along a dog on these ferries). But the cliffs are also wonderful to enjoy from up on top. Head to the National Trust visitor centre up on the clifftop above the port, where there is a large carpark (£4 fee except for National Trust members). It’s also the starting point for miles of walking paths. 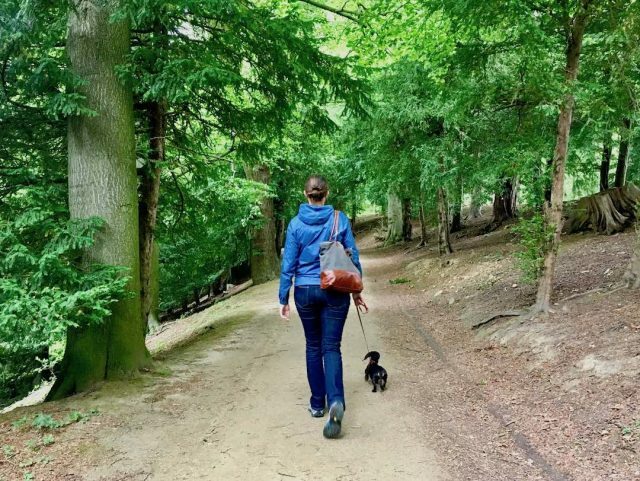 The National Trust has put together some guidelines for walking dogs. Dogs are allowed off a leash except for during the nesting bird season from March to July, plus around the ponies. It’s also a good idea to keep your dog on a leash when close to cliff edges. Afterwards head to the tea-rooms, with dogs allowed at the outdoor tables and water bowls provided. 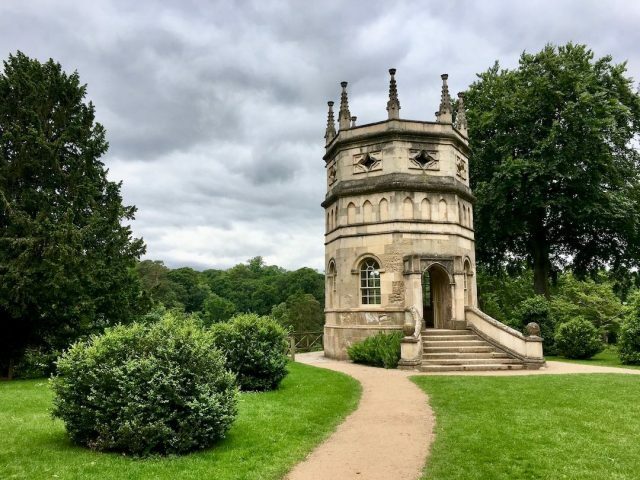 A fine example of an English park, Studley Royal Park is located in the north of England, about 30 miles north of Leeds in North Yorkshire. Within the park are the remains of Fountains Abbey, a Cistercian abbey dating back to the 12th century. After the dissolution of monasteries in the 16th century it was left to ruin and is now open to the air, except for the still in-tact mill building. A couple of hundred years later the owner of the Studley estate built the Royal Water Gardens next to the ruins of the abbey, with ornamental lakes and a number of follies, plus some beautiful vistas back to the abbey. 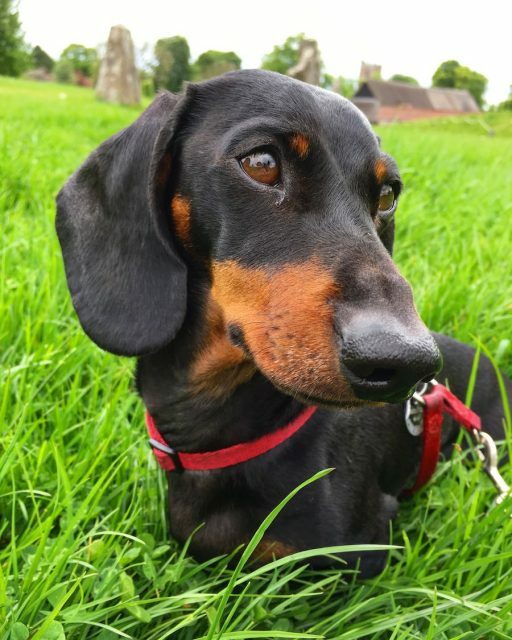 Dogs are welcome to join you on a visit to the park, including wandering around the remains of the abbey, although not inside any of the few buildings on the site. I recommend stopping off at the tearoom next to the cascade at the end of your visit, enjoying a cream tea with your pup on the terrace outside, although keeping your distance from the many ducks and geese. Outside of the ticketed area there is also a larger deer park, with walks suitable for on-leash dogs. 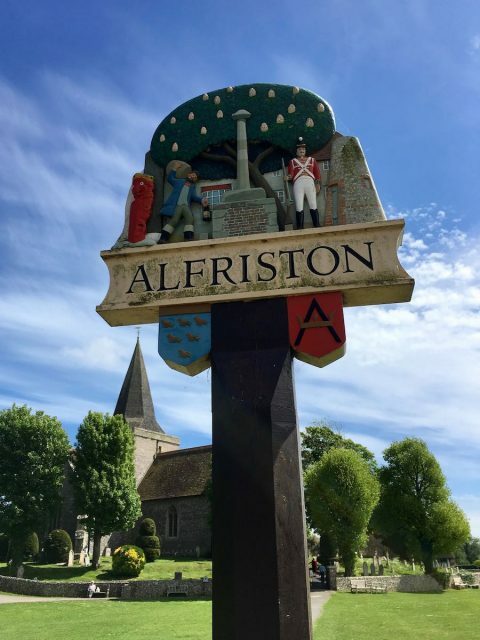 One of my favourite villages in the whole of England is Alfriston, located in the shire of East Sussex, just a short detour off the A27. 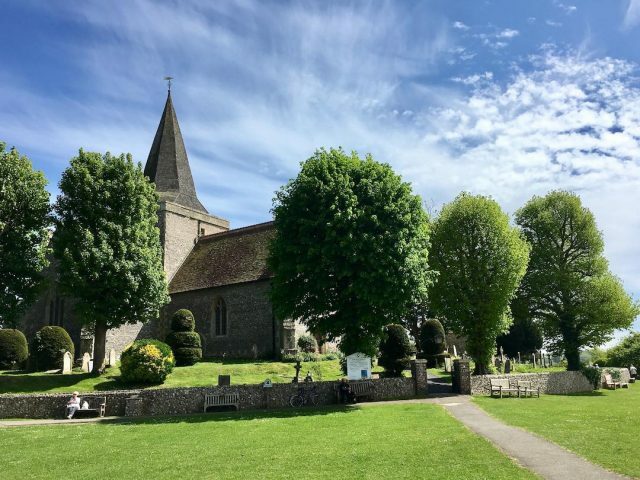 Take a wander through the cottages and small shops of the village to the village green, surrounding the imposing St Andrew’s Church. Close by is the former Alfriston Clergy House, built in the 14th century and the very first property purchased by the National Trust. Dogs are unfortunately not allowed inside, but perhaps stop instead at The Old Village Bakery. 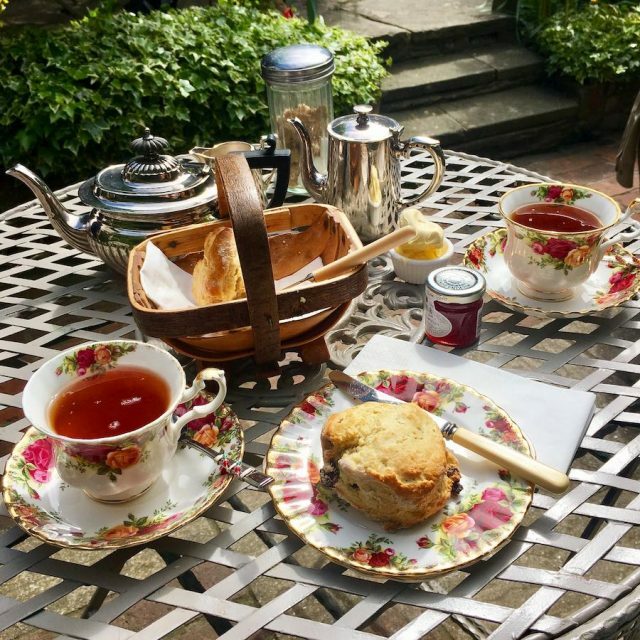 Well-behaved dogs are allowed in the back courtyard and the cream tea served on fine china is delicious. I can’t mention cute English villages and not also mention the Cotswolds. 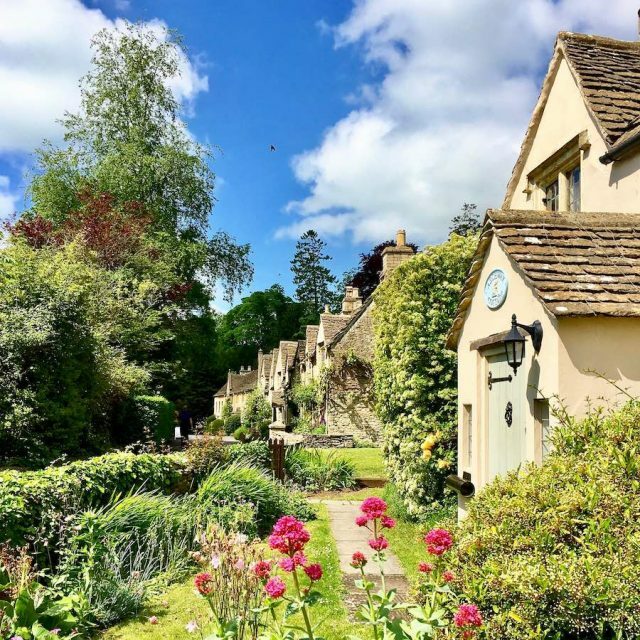 Whether it’s an outdoorsy weekend in the countryside that you’re after, not far from London, or you want to stop and wander through endless quintessentially English villages, perfect for Instagram, the Cotswolds is the perfect choice and should be added to your UK dog-friendly bucket list. 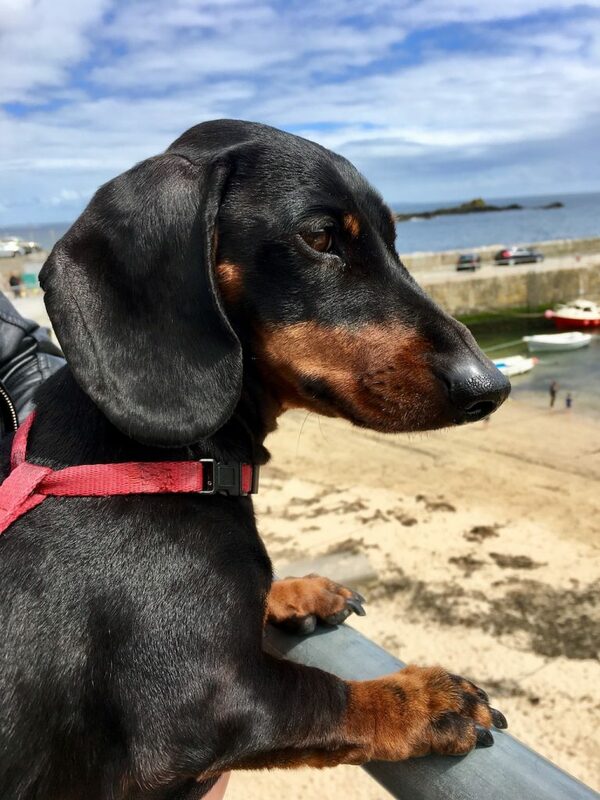 And that includes if you have a dog, with many dog-friendly options available, including cottages to rent. 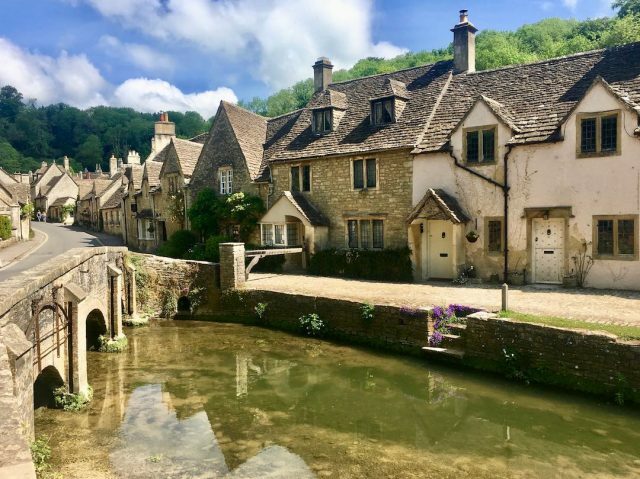 My favourite village out of the ones we visited was Castle Combe. The perfect place to stop for a short meander, and a cup of tea or lunch, it’s hard to believe that not far away is the Castle Combe Circuit car-racing track. 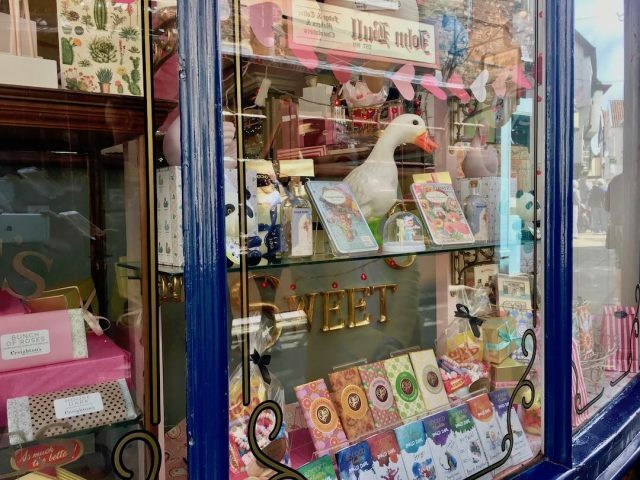 Other highlights include Blockley and Bourton-on-the-Water. 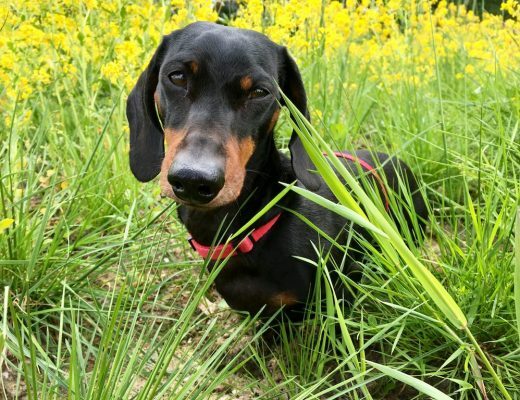 For more dog-friendly ideas, check out this listing from the Cotswolds website. 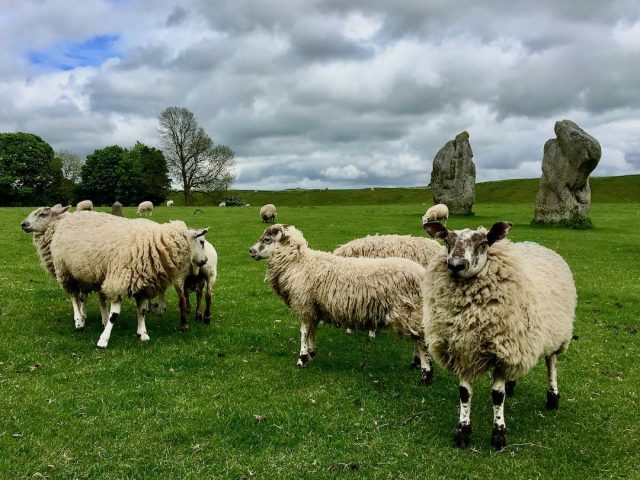 It’s more famous and close-by sibling, Stonehenge, may get all the attention, but Avebury is the best stone circle to visit if you’re travelling in England with a dog. 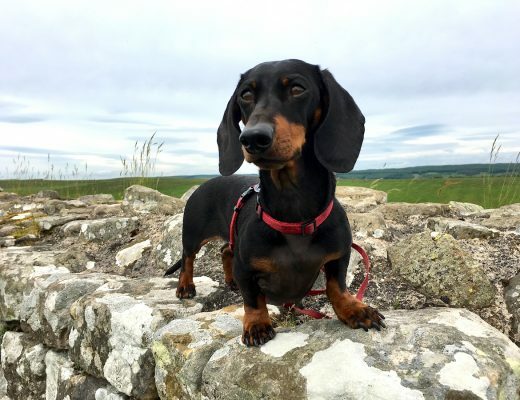 While dogs are not surprisingly not allowed at Stonehenge (unless you make do with a view from a nearby field, ideally with binoculars), at Avebury it’s a different story. There’s no entry fees or entry gates, just merely a parking fee to pay. Then you’re free to wander around and explore the henge, that in this case stretches over hundreds of metres. Just make sure your dog stays on a leash as there’s plenty of local sheep out grazing in the fields too (plus lots of sheep poo to avoid, too). 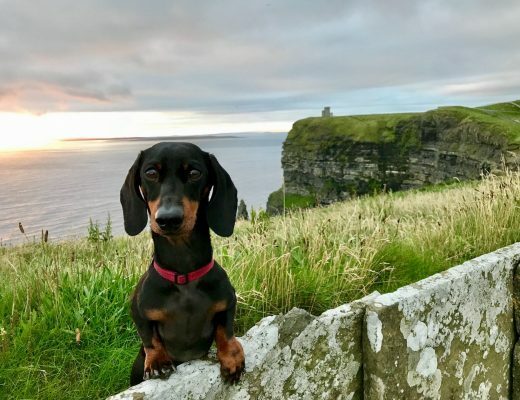 Best of all there’s far few visitors and you can get right up to the stones, making for a far more magical impression at this dog-friendly attraction. The Shoreditch neighbourhood in the East End of London is one of the capital’s hippest areas. 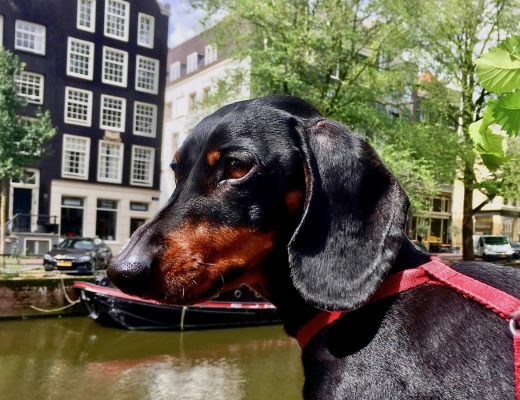 And if you visit the area with your pup, you’ll also discover it’s one of the most dog-friendly, with countless people fawning over my dog during his visit. 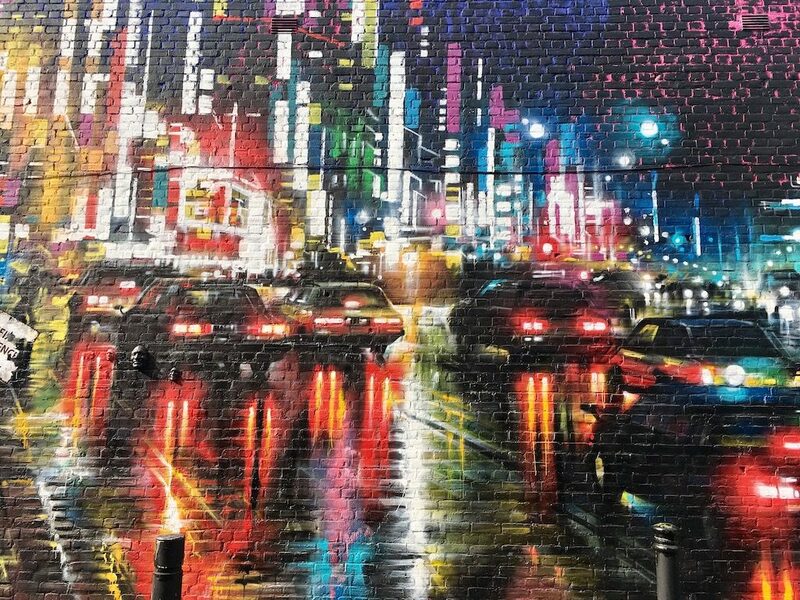 While there’s plenty of bars and restaurants to hit up, plus markets on the weekends to trawl, there’s also an impressive collection of street art in Shoreditch to discover, perfect for a long walk with your dog. This map is getting a little old, but is still a good starting point for your explorations. Alternatively, join one of the regular walking tours, who would probably be happy to also have your dog join in. 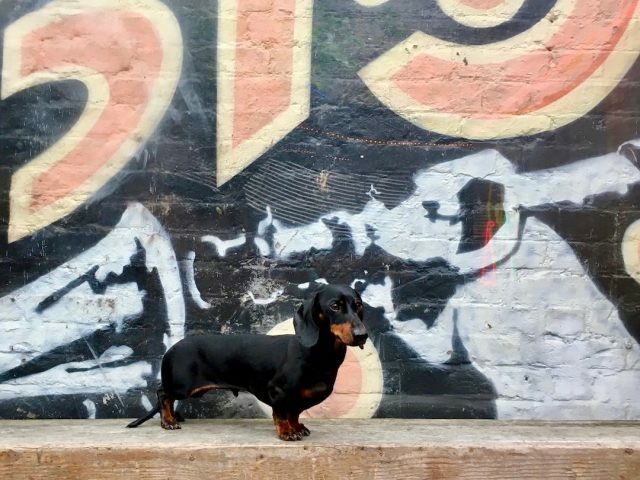 And don’t forget to include your dog in some street art photos for your gram! While Cornwall is popular these days with summer holiday makers, in the centuries past it was home to a flourishing tin and copper mining industry, of which most mines have long since closed down. 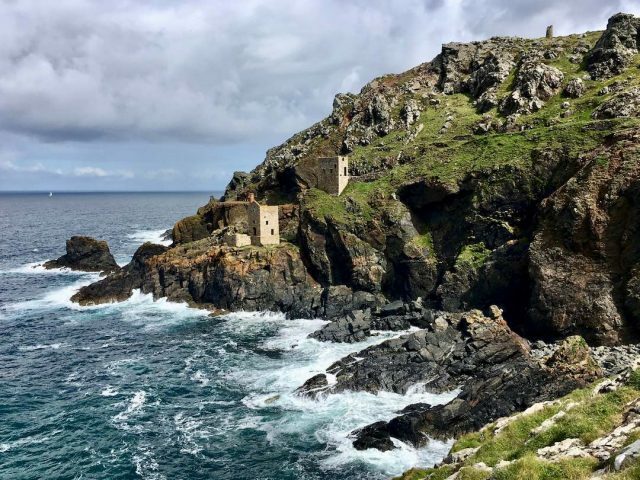 One of the most interesting old mines to explore is Botallack Mine, not far from Land’s End and Penzance. The ruins of the mine are scattered along the hillside steeply sloping down to the treacherous rocks and wild sea below. Paths cross the slope, with dogs welcome to join you in your explorations. The most impressive remain are the engine houses, on the edge of a cliff. If you decide to also visit Land’s End, I recommend holding off until evening in the summer months. I believe car parking is free in the evening, plus we were able to take our own photo next to the famous sign, rather than pay for the privilege. If you ignore the 4D cinemas and the like, it’s actually a great spot for dog-walking. 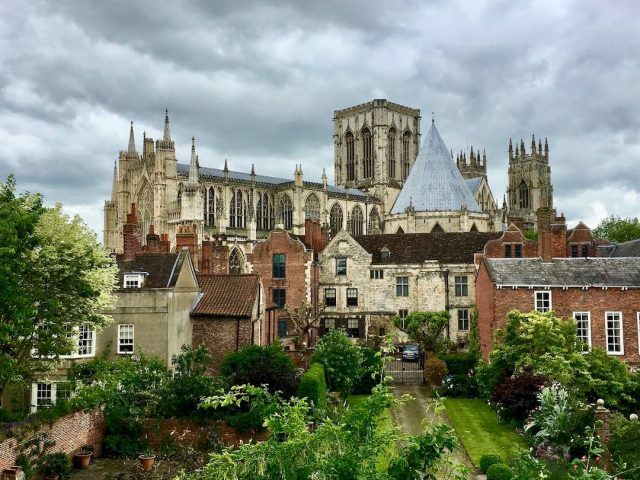 There’s many candidates for the best preserved medieval town in England, but my pick of the them all is York in northern England. 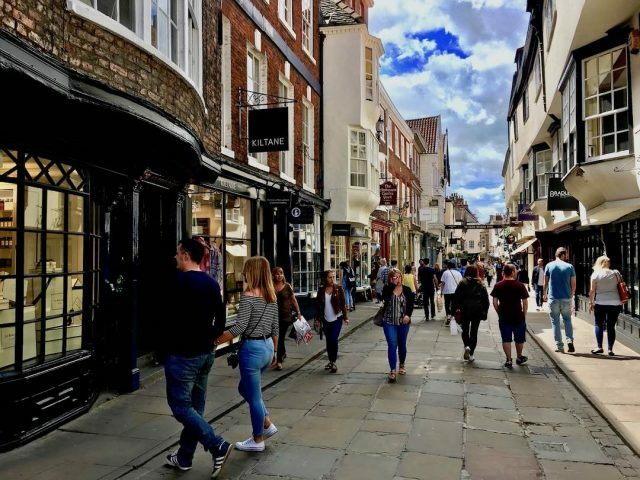 The best part of the city are its narrow and twisting cobbled laneways, of which The Shambles is the most atmospheric, lined with buildings dating back to the 14th and 15th centuries. Don’t also miss visiting the York Minster, at least from the outside as naturally dogs aren’t allowed inside. 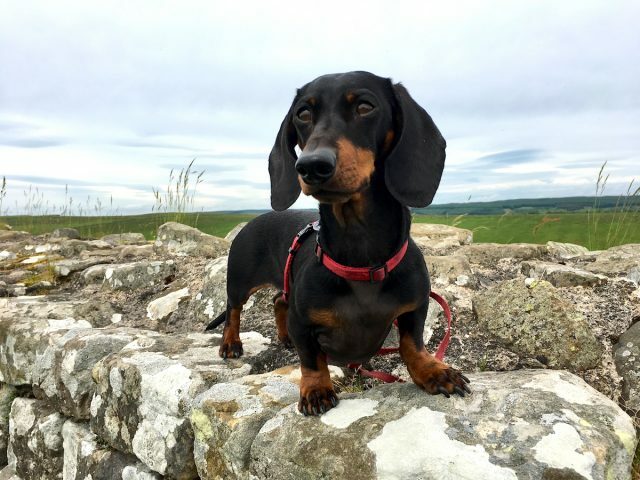 Unfortunately dogs are not also allowed up on the city walls, otherwise I would recommend walking at least a section of their two mile length. Ghost tours are also popular in York. While I didn’t do one myself, I’d guess that your dog is allowed to join you, as long they have a liking for barking at ghosts! 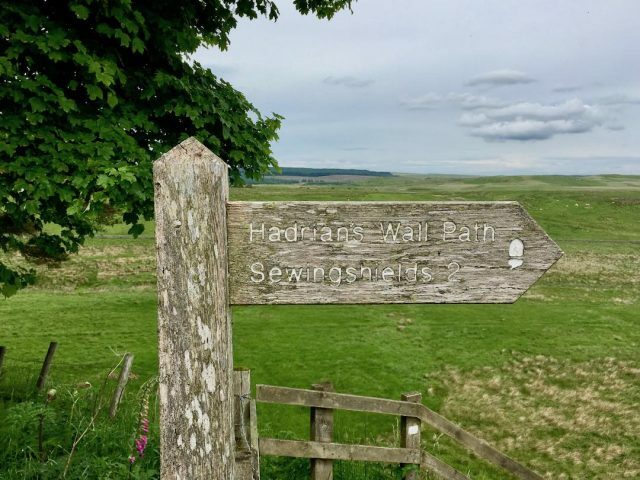 Just a couple of hours drive north of York, close to the present-day Scottish border, are the remains of Hadrian’s Wall. 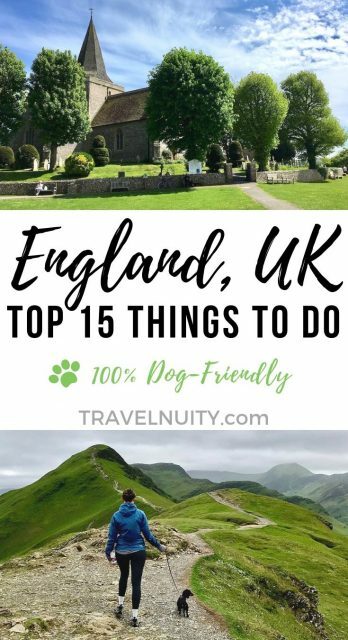 Built by the Romans to help fortify their hold over England 2000 years ago, it’s an interesting area to visit in England with your dog. There’s a long-distance walking track that largely falls the ruins of the wall, stretching from coast to coast. But there’s also the chance to walk along individual sections of the path and visit specific sites. One of my favourite places to visit was Housesteads Roman Fort, the most complete Roman Fort in Britain plus a location offering splendid views of the surrounding countryside and the wall. An entry fee is charged, with dogs on a short lead welcome. Alternatively, check out this guide to hiking along the section of nearby wall. 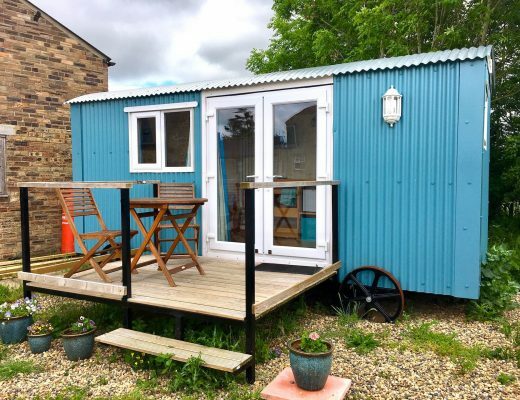 One of my favourite memories of visiting England with my dog was staying multiple times on farms, whether in a room of the main farmhouse or in a modern shepherd’s hut. 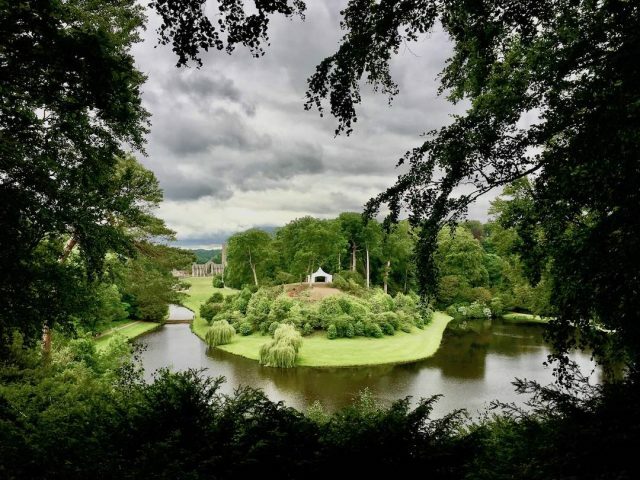 There’s nothing more quintessentially English than the green rolling landscape of English farms, criss-crossed with thick hedges or historic stone walls. And many farms welcome visitors for the night, including with well-behaved dogs. Just make sure you follow the rules around livestock, especially if your dog decides it wants to help herd the stock!